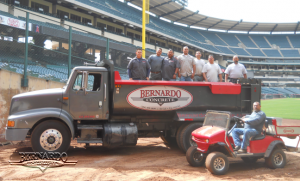 Concrete Contractor – Concrete Contractors, Concrete Construction, Concrete Paving | Bernardo Concrete Inc. The Rain is here! And this time of year for us is always a hiccup in our work. It can be very disappointing to have to postpone work until the rain stops. However, we do need the rain be we also need to keep working hard to provide exceptional service to our customers and future customers. That is why we are not going to let this rain defeat us and make this time a suitable time to help our customers and future customers plan for what’s ahead. I’m not going to lie when I think of rainy days, I think of staying in bed, not wanting to go to work, lots of hot coffee and sleep. Which all sounds great! But others such as homeowners and property owners see otherwise. Sometimes you don’t notice the damages on your concrete or the damages that your concrete can cause until events like the rain. That is why Bernardo Concrete is here to help you repair all your concrete needs! 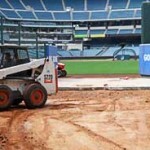 So let us help you plan for what is to come after the rain and we will be ready to work!